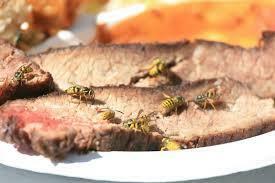 Native bees are threatened by the use of pesticides that include neonicotinoids. This chemical has been banned for use on Eugene city property and the state has restricted its use. 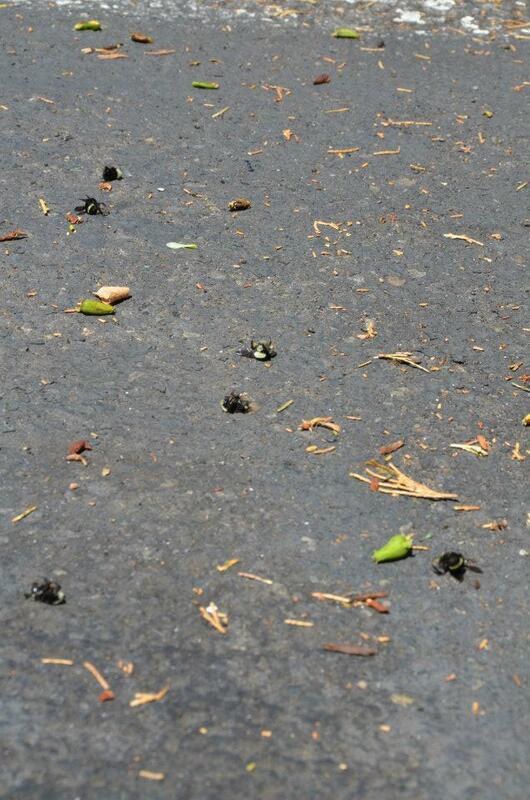 But Lisa Arkin with Beyond Toxics says bumblebee die-offs this summer in Portland were attributed to the pesticide-- even though it hadn't been applied for a year. Arkin: "We have to raise awareness about the fact that native bees are very much in peril. 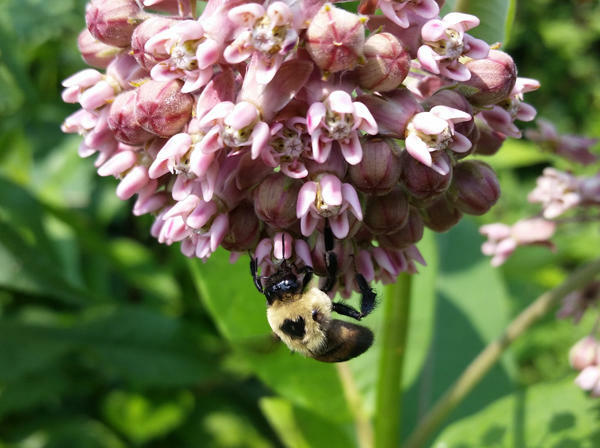 There's been great public education about the fact that honeybees need our help to survive, but little has been talked about so far about the role native bees play in pollination." According the Xerces Society the economic value of native pollinators to agriculture is about 3-billion dollars per year in the U.S.
Cornucopia Restaurant in Eugene is hosting a bee celebration all day Saturday, August 15th. 11 AM -12:30 PM in Eugene’s Charnel Mulligan Park (block away from Cornucopia @ 17th and Charnelton): Brian Dykstra, bee expert will share fun bee facts and things you can do to help protect bees! Honey bees around the world are facing serious challenges. In recent years, annual hive losses have risen to 50 percent or more. 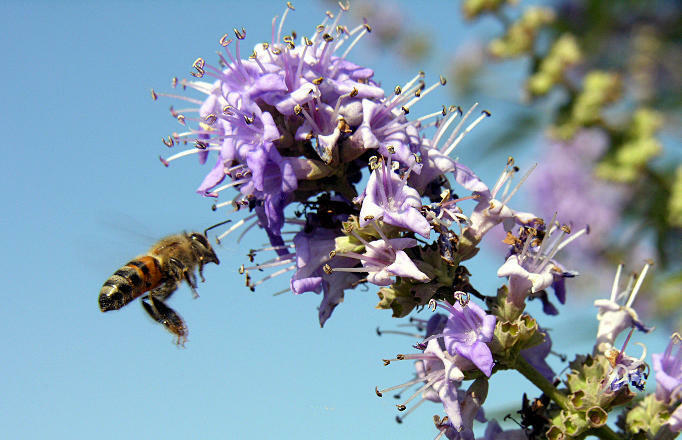 Now, a California non-profit is working to help farmers and other landowners create habitat for bees and other pollinators. The death and disappearance of bees is raising questions and concerns from Northwest neighborhoods all the way up to the White House. Some attribute bee declines to the use of certain pesticides – especially after chemicals killed thousands of bees in Oregon. But as EarthFix reporter Cassandra Profita explains, researchers are still trying to determine how much of the nation’s bee problem stems from pesticide exposure. Beekeeper George Hansen just got some good news. 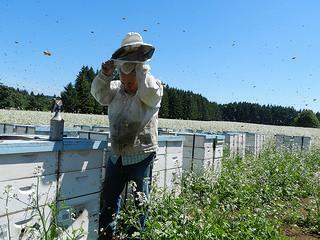 After bee die-offs this month in Eugene and Beaverton, the Oregon Agriculture Department is placing a 6 month ban on pesticides containing two active ingredients that are dangerous to the insects.